The high quality Sod we choose has supplied and grown turf for lawns in Southern California since 1978. Sod is grown in beautiful San Diego County. The high quality Sod we choose has supplied and grown turf for the finest lawns in Southern California since 1978. The Sod is grown in beautiful San Diego County. The fleet of trucks deliver fresh sod daily to homeowners, landscapers and retail locations throughout all areas of San Diego County, from the coast to the mountains and into the desert. San Diego Sod Farm has a wide variety of sod- grown, harvested and delivered with the greatest care, that will add beauty and value to any home or business. 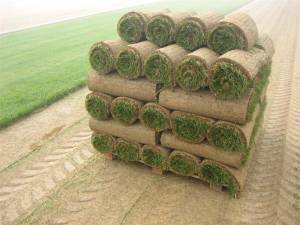 For more information on our sod, CLICK HERE to find the right turf for your specific needs.